Major League Baseball has officially imposed a season-long ban (potentially even longer) on Alex Rodriguez. Alex Rodriguez, in spite of substantial evidence that he used steroids for a decent chunk of the last few years (oh, and in 2001, 2002, and 2003,) is pretty sure he's the target of a MLB conspiracy. Quick recap: Rodriguez is this generation's Babe Ruth: a gifted, record-breaking player since his 1994 debut. In 2009, Rodriguez admitted that he'd used steroids between 2001 and 2003, but swore he was done with all that. The MLB believed A-Rod, and didn't penalize him. Now, more than 20 baseball stars are under fire for their alleged involvement with Biogenesis, a "health clinic" that reportedly fed sports stars performance-enhancers. The MLB has handed down a string of 50-game bans — the standard punishment for steroid use mid-season. But A-Rod will face more than four times that: a year-long suspension, or a 217-game ban. "I will say this," A-Rod told press over the weekend. "There is more than one party that benefits from me not ever stepping back on the field." "It is not my teammates," he went on. "It is not the Yankees. People have been trying to get creative trying to cancel my contract." The press promptly asked who this ominous, shadowy figure was. "What do you think?" shot back A-Rod. It's widely assumed that he was referring to MLB authorities. A-Rod has denied all allegations so far. 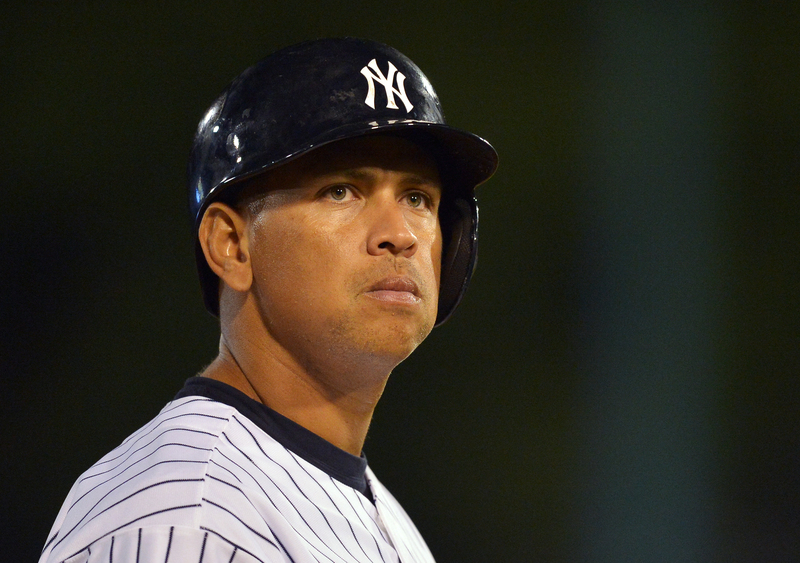 A-Rod reportedly plans to immediately appeal the suspension. But fighting back might pose more risks for his career: if he refuses to admit using steroids, the MLB has threatened to impose a lifetime ban from the game. Either way, A-Rod has stubbornly played in games over the weekend, and, if he does appeal, he would technically be allowed to play in an upcoming game Monday night.